The importance of environmental science is made plain every day. The changing climate, polluted air and water, loss of biodiversity, a growing population, and food insecurity are just a few examples of our planet under pressure. It needs protection. At Clark, you’ll explore these and other pressing issues affecting our home — the Earth. But that’s just the beginning. In addition to understanding, our planet needs action. In the environmental science major, you’ll put your learning into practice by getting out in nature, taking part in research projects, interning at environmental organizations, exploring diverse places and spaces through study abroad, and taking action both on campus — through the Clark Sustainability Collaborative — and beyond. Why Study Environmental Science at Clark? Learn from world-class faculty who conduct field exploration, both in New England and on all seven continents, and who address sustainability challenges by analyzing problems and identifying solutions. Examine environmental challenges from all academic perspectives — sciences, social sciences, humanities — and from the perspective of action and change. Align the major with your personal interests by choosing from three broad areas of specialization: environmental science and policy, earth system science, and environmental and conservation biology. Gain experience with leading-edge methods of analysis including geospatial informatics, big data analytics, decision methods, and community engagement. Participate in high-impact research in our Lasry Center for Bioscience laboratories, with the Human-Environment Regional Observatory (HERO) Program, and through our world-renowned Graduate School of Geography’s connections with international governments, science organizations, NGOs, and businesses. Earth system scientists examine the structure and function of the parts of the earth’s lithosphere, atmosphere, hydrosphere, and biosphere, and how these systems interact with one another. This integrated science, which focuses on connections between these earth system components, is at the heart of some of our most pressing physical science and nature-societal issues, including global climate change, water availability, and the loss of biological diversity. The track emphasizes the patterns and processes across the Earth’s surface (both land and ocean), serving as an introduction to earth sciences or geosciences. 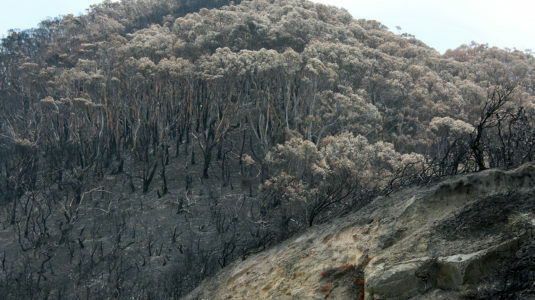 Intensive field study, satellite remote sensing analysis, geographical information science (GISci), and computer simulation are all tools for understanding, monitoring, and predicting earth system behavior. The ESS track of the environmental science major trains graduates for a wide range of professional endeavors as well as more advanced studies involving physical geography, to include landscape ecology, land-atmosphere interactions, hydrology, biogeochemistry, remote sensing, and GISci. 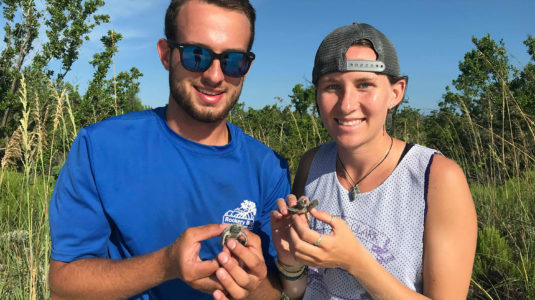 Environmental and conservation biology: Environmental biologists explore the ways in which organisms evolve and interact with one another and their environments. Levels of exploration can range from molecular evolution and genomics to ecosystem level function. Conservation biology makes up one component of this field, focusing on the biological knowledge necessary to preserve biodiversity. Because the loss of biodiversity has reached crisis levels, we offer a focused curriculum that lets you bring appropriate biological tools and knowledge to efforts to develop conservation strategies and policies. Environmental science and policy: This track will prepare you to deal with the complexities of environmental issues in a societal context. You’ll gain an in-depth understanding of how human activity impacts the natural environment, along with scientific, social science, and policy perspectives on how these impacts can be managed and mitigated. The track’s strong emphasis on the natural sciences ensures that you will understand the technical, as well as the social, aspects of the world’s most pressing environmental issues. This award is given to a graduating senior Environmental Science major in recognition of outstanding academic achievement. Awards are given based on academic excellence, commitment to breadth and depth in the field, and involvement in intellectual life outside of the classroom. This award is given to a graduating senior Environmental Science major who has delivered excellent research within the field of environmental sciences during the course of their undergraduate study. Awards are given based on research excellence, exceptional interest and ability in scientific inquiry, and commitment to pursue scientific research and applications. This award is given to a graduating senior Environmental Science major in recognition of distinguished effort to improve the way humans interact with the environment, natural or built. The recipient will have worked in close concert with an outside organization (e.g. government agency, NGO, etc.) putting her/his academic preparation into practice to address a real-world issue in environmental science. Special facilities available to you include the Jeanne X. Kasperson Research Library at the George Perkins Marsh Institute, the Guy H. Burnham Map and Aerial Photograph Library, Clark Labs, and earth system science teaching and research laboratories in polar science, forest ecology, and terrestrial ecosystem physiology. Learn more. Food Security and Sustainability for At-Risk Youth in Main South Neighborhood, Worcester, Mass. At Clark, your education extends beyond the classroom. LEEP Center advisers can help you choose from a range of opportunities that complement your coursework and put your environmental science knowledge into practice. The environmental science major is designed to help you learn outside the classroom. Many students take advantage of internship opportunities during the academic year or over the summer to connect what they’re learning with their professional development. In alignment with Clark’s LEEP philosophy, participation in a Study Abroad and Away program is an opportunity to gain world and workplace experience to complement your on-campus work. Clark approves semester, yearlong, and summer opportunities to earn credit through academic coursework, internships, community-based learning, or research. Explore our Study Abroad and Away page, where you can search programs by academic interest, location, and language; after you’ve identified some appropriate programs, ensure they fit into your four-year plan by talking with your faculty adviser as early as possible. National Park Service, Student Conservation Association, Triangle, Va.
Worcester Tree Initiative, Worcester, Mass. Earth Limited, Southwick’s Zoo, Mendon, Mass. UMass Memorial Health Care, Worcester, Mass. As befits an interdisciplinary major, the research programs of environmental science professors span a wide range of academic fields. While most are from the Departments of biology, geography and international development, community, and environment (IDCE), others hail from departments as diverse as chemistry, economics, management, philosophy, political science, and physics. Faculty from Clark’s George Perkins Marsh Institute, whose research focuses on sustainable environments for the public good, also contribute to the environmental science major. Faculty research interests include these environmental science subfields: environmental policy, environmental ethics, conservation biology, earth system science, climate change, sustainability, geographic information science, and ecology. As an environmental science major, you might be interested in applying to the Human-Environment Regional Observatory (HERO) Program, a unique undergraduate-graduate-faculty experience that engages in research on human-environment relationships in Massachusetts. HERO Fellows conduct hands-on research under the mentorship of Clark University faculty; their work often leads to scholarly publications, presentations at academic conferences across the U.S., and awards and honors. You can also submit your research results for publication in our student-run Scholarly Undergraduate Research Journal. 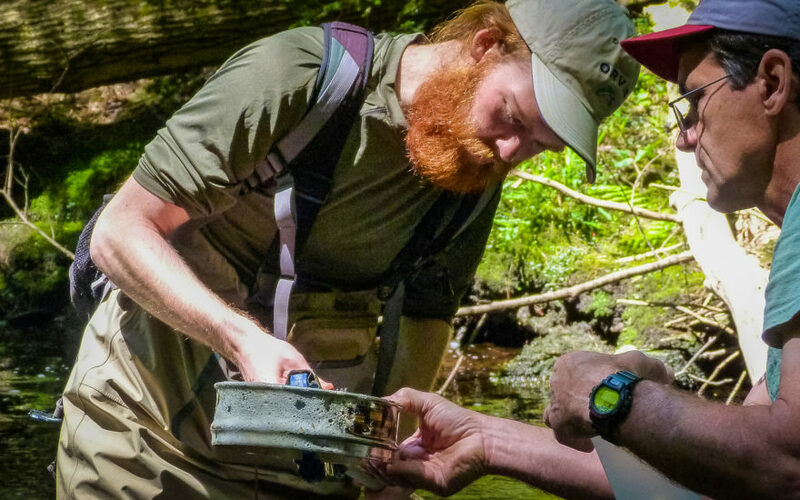 The environmental science major provides training for those who want to continue on to graduate school or establish management, fieldwork, or laboratory careers in areas as diverse as ecology; conservation biology; teaching; environmental planning, protection, or regulation; water or air monitoring; and policy development. Oxford University Centre for the Environment, Oxford, England; D. Phil. Town of North Andover, Mass. In this course you’ll investigate the science of climate change and the complexities of translating it into effective policy, the uneven impact of climate change around the world, and ways to reduce that impact. Investigate how — and if — changes in technology, institutions, and culture might lead to more environmentally sustainable development, and review case studies from the U.S., Europe, and developing countries. Explore how changes in the cryosphere (glaciers, sea ice, snow, and permafrost) play a critical role in many complex earth processes, and learn how satellite technology can help us measure those changes. Examine the role of science and the trade-offs inherent in crafting pollution policy in the U.S., how businesses perceive environmental policy and risks, and ways individuals can be motivated to minimize pollution. Participate in training activities at nearby study sites and engage with local conservation experts to gain insight into the issues and processes that shape small-scale land conservation efforts in Massachusetts.